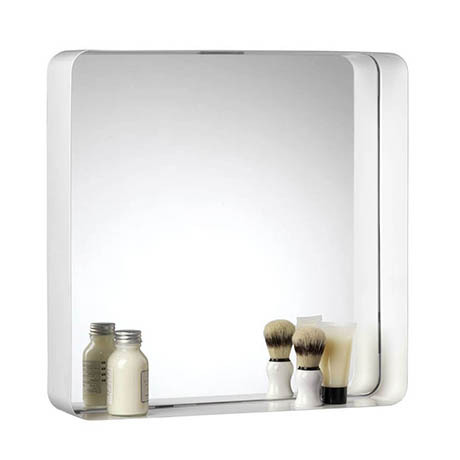 The Barton square steel box framed mirror has a square mirror glass set within a gloss white powder coated mild steel curved frame giving it a contemporary look. It features the innovative Hang 'N' Lock system, allowing large bathroom accessories to be fixed by one person. The bracket system attaches to the wall and can be adjusted with the built-in spirit level. Then just simply hang the product and lock securely in place.